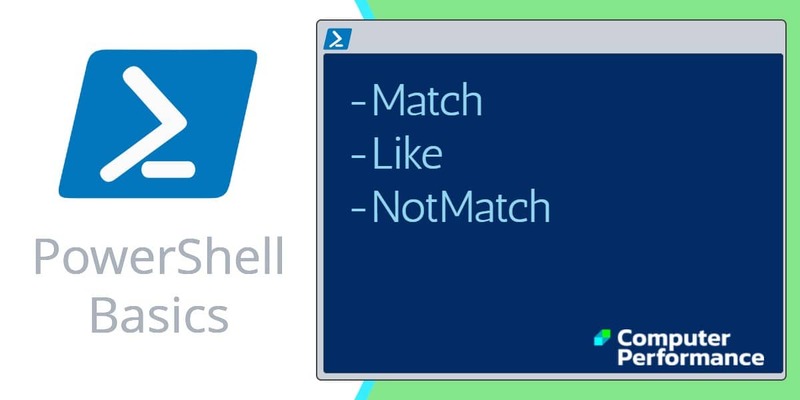 I want to show you how to filter data with PowerShell’s -Match comparator. The scenario is that we want research WmiObjects in general, and ‘network’ classes in particular. The problem is that listing WMI classes swamps us with hundreds of names. Our solution will be to use a ‘Where-Object’ clause containing a comparator such as -Match or -Like. I think of ‘-Match’ as meaning a pure pattern match. Whereas to me, ‘-Like’ is a more nebulous concept, consequently I am probably going to need the wildcard* symbol. A more technical definition is as follows: -Like is just a wildcard comparison, while -Match is a regular expression, and a superset of -Like. WmiObject is our parent clause for this example. The Where-Object statement employs a comparator to find the pattern “network”. Because we use -Match, “network” can be anywhere in the WMI object’s name. Incidentally, this combination of ‘Where’ with ‘-Match’ is my favourite method of filtering data. Write-Host `n $WMI.count "WMI objects contain the word network." Note 1: Take special note of this important construction $_. Dollar, underscore, dot means ‘in this data stream‘. Note 2: Observe how I have employed PowerShell’s signature tune, namely the (|) pipe. The purpose of the pipe is to make the output of the list obtained by GetWmiObject, the input into the Where-Object clause. 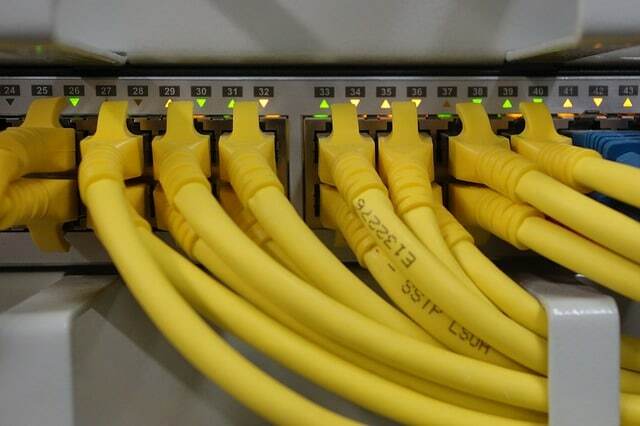 I have made two changes compared with Example 1; I substituted -Like for -Match and adding a wildcard* in front of network. -Like says to me ‘sort of’, ‘fuzzy’, or ‘around about’. Note 3: The variable $WMI.count enables us to compare these results with those of example 1; you should see that -Like produces fewer WmiObjects then -Match. To make -Like show all the “network” object you need to add a second wildcard: “*network*”. To give you perspective, I have introduced variations, for example employing an ‘If’ construction instead of the ‘Where’ in example 1 and 2. "There are $i objects containing System"
Note 4: Unlike ‘Where’, the ‘If’ statement needs the additional command ‘ForEach-Object’. What this does is initialize the loop containing $_.name. admire how PowerShell interprets the counting variable ($i) in the middle of that text string. This is called expanding a variable, and only works if you encase the whole command in “Double quotes”. The simplest and most common comparator is ‘equals’. The way you code this in PowerShell with -eq (not =). However, in the present examples, -eq would not be much use because effectively we would need to know the name of the specific class. Whereas in this context we don’t know the answer, furthermore, we want to broaden our research into possible names containing ‘Win32’. Thus let examine other comparators. It is surprising how often the negative -NotMatch produces a neat solution to a scripting problem. For instance, there are several WmiObjects beginning with CIM, thus one way of excluding them would be to use -NotMatch “CIM”. Furthermore, using multiple criteria for your filter is easy once you master the deceptively simple, ‘-And’ syntax. Just remember that you need to add a second comparator ($_.name) after the -And. Write-Host `n $WMI.count "objects containing WMI, but not CIM or __"
Note 7: It would make my day if you experimented with different filters. Substitute your ideas for “CIM”, and “__”. Perhaps best of all would be to combine -NotMatch and -Match. \w is the equivalent of: -Match [a-zA-Z_0-9]. \d matches any digit character. \s matches any white space character including tabs. Note 8: “BabeRuth” has no space, thus would produce a False result. These help files introduce a whole world of specific terms, for example, ‘regular expression comparisons’ and ‘wildcard comparison’. Once you need to understand such extra information, then I have succeeded in my mission of introducing you to -Match and -Like. So often we suffer from information overload. 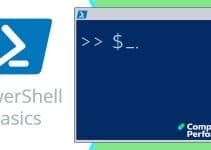 Working with PowerShell is no different, fortunately it does supply three conditional operators to filter your information: -Match, -Like and -Contains. Each operator has different properties; with research, you can get just the filter you need, and thus obtain the desired stream of information into your script’s output.